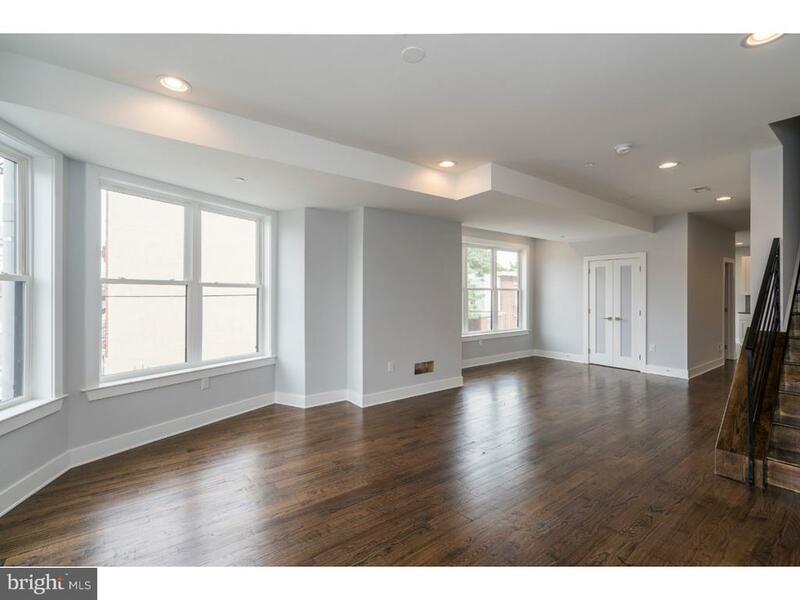 1241 S. 24th Street is one of the biggest most beautiful condos in Point Breeze! Step in the front door and notice the gorgeous hardwood floors that continue throughout the home. The open layout makes for easy entertaining, as the living room flows into the dining area and kitchen. High ceilings and big windows make the space feel light and airy. With GE stainless steel appliances, white Shaker cabinets, and quartz counters with bar seating, this is the kitchen youve been dreaming of. A convenient powder room completes the main floor. Upstairs, there are two spacious bedrooms, a modern hall bath with custom tilework, and laundry room, as well as access to the roof deck which provides stunning views of Center City. This home features an energy efficient HVAC system, video intercom, and has top-of-the-line finishes throughout. Situated just a block away from Wharton Square Playground, and a short walk to 22nd Street Caf~ and Madira Bar and Grill, and a short commute to Center City. 10-year tax abatement approved. Dont wait, schedule your showing of 1241 S. 24th Street today! Please check OPA for 2019 taxes due to possible citywide reassessment.